Electronics Recycling is not available at SCARCE. Please see below for locations. Illinois banned electronic waste (“e-waste”) from landfills in 2012. Electronic items contain hazardous chemicals such as cadmium, lead and mercury. If not properly recycled, these chemicals can make their way from landfills to contaminate our soil, water and air. Many electronics must be recycled through an electronics recycling program. It is always best to double check with each drop-off site to confirm what is being accepted before loading up your car. If you do not see your town on our list, we suggest you check with them to see if they offer an e-waste recycling program for residents. Specific locations vary in what they collect. NO hazardous waste accepted at any collection. In addition to the programs below, residents are encouraged to check with their local municipality or waste hauler for electronics recycling options. 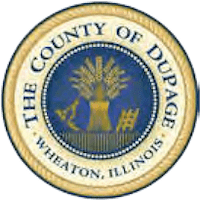 Unless otherwise stated, programs below are for any resident of DuPage County. Downers Grove Township Highway Dpt. Call Lakeshore Recycling Systems (773-685-8811) at least one day before your pickup day. Items must be placed at the curb with appropriate stickers by 6am on your pick up day. Accepts small appliances, electronics, and TVs. Curbside Pick Up: Call (877) 775-1200 to arrange pick up. Cost is $30 and includes up to 6 items. Visit the link for each location to view a full list of what they accept. Multiple locations, must call in advance to drop off or schedule a pickup. Accept small appliances; accepts TVs for a fee at many locations. Various household electronics, limit three (3) items per household per day. May accept TVs for a fee – check with your local store. Haul-away options available for a fee. Please call your local Goodwill for hours and to confirm they can accept your donation. Only Accepts Computers, Laptops, Cell Phones. Accepts: working condition light fixtures, lamps, ceiling fans & appliances (less than 7 years old, neutral colors), window air conditioners. Residents are encouraged to contact their waste hauler to inquire if they have a curbside electronics pick up service. SCARCE and programs listed are not liable for data removal or protection. Back up your data and wipe your hard drive before dropping off your equipment. There are free programs available online to erase your hard drive.